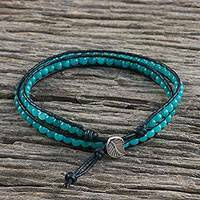 Everything about this bracelet is outstanding! 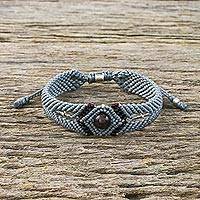 The color choices and framing of the garnet are very creative, and the quality of the knotwork is impeccable - perfectly even. 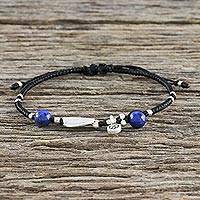 This bracelet is one of my absolute favorites! 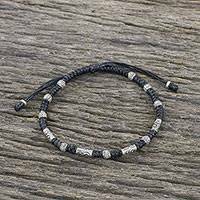 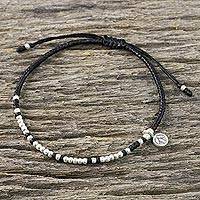 It easily adjusts in size and because it is so thin, it wears beautifully with several other thin, silver bracelets I have. 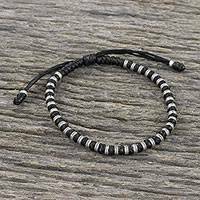 The charm is very tiny--like the diameter of an English pea--and the bracelet slide part is waxy, so it glides easily and is waterproof. 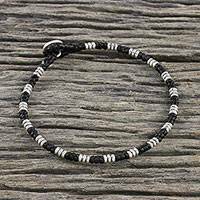 I wear it all the time! 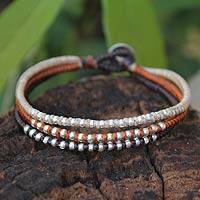 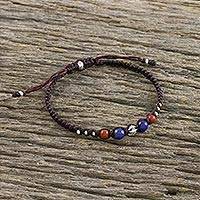 Handmade Unisex Beaded Macrame Wrap Bracelet from Thailand, "Oceanic Wanderer"
Braided Gray Cord Bracelet with Silver 950 Floral Beads, "Tribal Flowers in Taupe"
Ultramarine Cord Bracelet with 950 Silver Beads, "Hill Tribe Ultramarine"
To date, NOVICA has sent $91,030,944 to artisans!